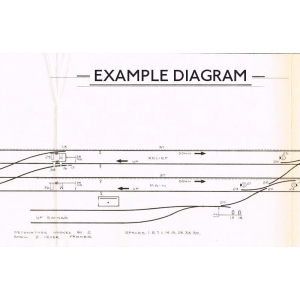 Plan showing signalling arrangements at Daresbury (London & North Western Railway) signal box, produced by the Signalling Record Society. Produced as a dyeline print in the 1970s/80s so some discolouration to the paper will exist. 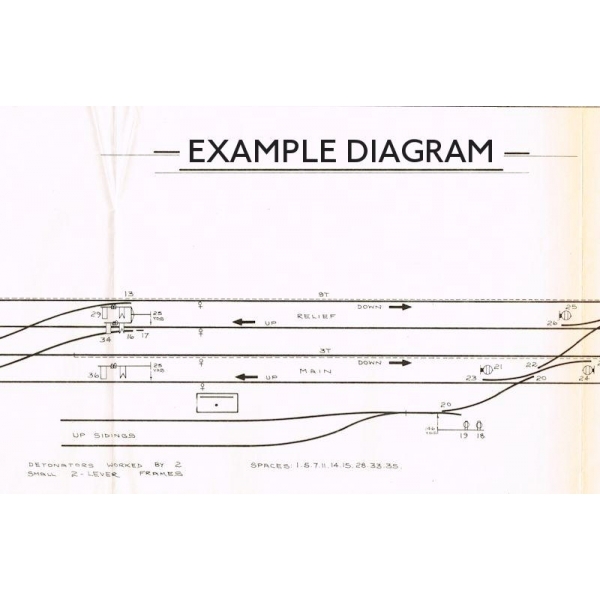 The illustration given here shows a typical drawing and not this specific location. If you require further information, please ask. Second-hand copy, one only available. Supplied folded.